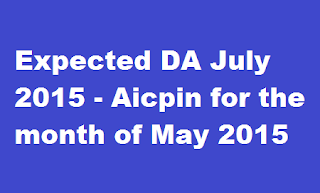 The All-India CPI-1W for May, 2015 increased by 2 points and pegged at 258 (two hundred and fifty eight). On 1-month percentage change, it increased by (+) 0.78 per cent between April, 2015 and May. 2015 when compared with the increase of(+) 0.83 per cent between the same two months a year ago. The maximum upward pressure to the change in current index came from Food group contributing (+) 1.96 percentage points to the total change. At item level, Rice, Arhar Dal, Gram Dal, Masur Dal, Moong Dal, Urd Dal, Groundnut Oil, Mustard Oil, Fish Fresh, Goat Meat, Poultry (Chicken). Onion, Vegetable items, Electricity Charges, Petrol, Tailoring Charges, etc. are responsible for the increase in index. However, this increase was restricted by Wheat. Wheat Atta. Gourd, Torai, Lady’s Finger, Mango, Sugar, Bus Fare, etc., putting downward pressure on the index. At centre level, Mercara, Bokaro, Coonoor, Belgaum and Madurai reported the highest increase of 8 points each followed by Tiruchirapally (7 points). Among others. 6 points increase was observed in 4 centres. S points in 5 centres. 4 points in 12 centres, 3 points in 9 centres. 2 points in 10 centres and 1 point in 15 centres. On the contrary, Srinagar and Rangapara Tezpur centres recorded a maximum decrease of 3 points each followed by Darjeeting (2 points). Among others. 1 point decrease was observed in 4 centres. Rest of the 10 centres’ indices remained stationary. 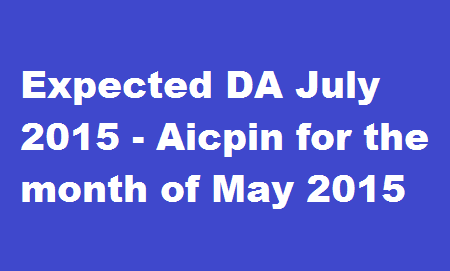 The next index of CPI-IW for the month of June, 2015 will be released on Friday. 31st July. 2015. The same will also be available on the office website www.Iabourbureau.gov. in.